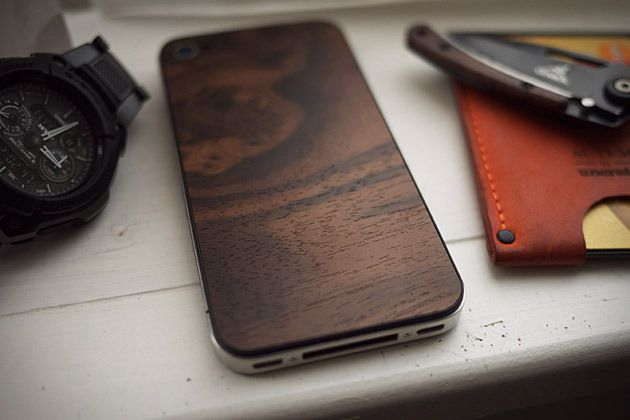 Replace the standard prone-to-break iPhone 4/4S glass back with the warmth and durability of wood using one of these gorgeous custom rear cases from Material6. With several natural timbers to choose from, including South American Rosewood, Wallnut and Birdseye Maple and a range of different finishes, there’s a look to suit all tastes. Each piece is hand-crafted by a team with over 30 years of custom fabrication expertise and comes with its own mini-screwdriver for removing the stock glass backing.